I was picked up at the airport in Sarajevo by the proprietor of my accommodation. We drove back through Novo Sarajevo (New Sarajevo), a newer part of the city I had never heard of before. The typical Tito-era tower apartment blocks loomed over the city streets. It was not until we got close to the old town that I began to notice steeples and minarets piercing the skyline. I was nervous with anticipation. My goal was to get checked in as quickly as possible so I would have time to hurry down to the location of the assassination site. After dropping my bags off, impatience drove me to immediately order a taxi, A few minutes later I was being whisked through the winding streets above the Old Town. The taxi driver misunderstood the directions and dropped me off nearby. This turned out to be for the best as I was able be to get my bearings while approaching the site. 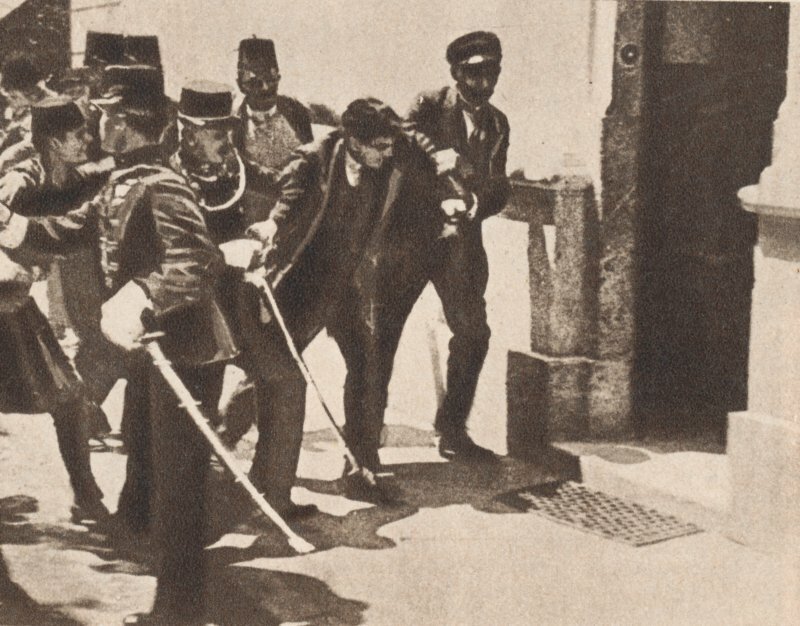 From the moment I first saw a photo of Gavrilo Princip being apprehended by police immediately after his assassination of Archduke Franz Ferdinand and his wife, the archduchess Sophie I was fascinated by that event. The assassination’s setting in Sarajevo, an exotic quasi-eastern city that was a cauldron of ethnic tensions had much to do with my interest. I can still remember when I first saw the photo. It was on page four in Volume One of the Marshal Cavendish Encyclopedia of World War I in my high school library. The Encyclopedia had a detailed article on the assassination. I read and reread it several times. My interest in the story of that fateful day led me years later to eventually track down an entire set of the encyclopedia later in life. Such curiosity eventually led me to research a trip to the actual site. That is what brought me all the way to Sarajevo. I now stood on the verge of realizing a decades old dream. 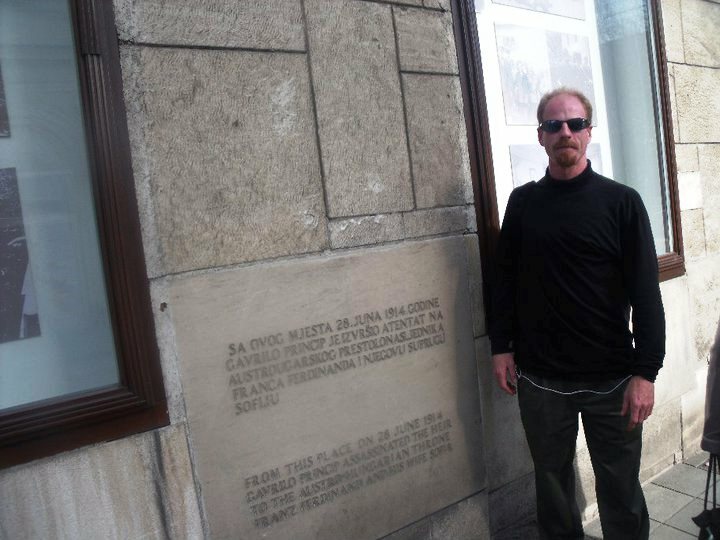 It is not often (or ever) that I travel thousands of miles to visit a single street corner, but the allure of what happened in Sarajevo on June 28, 1914 magnetically pulled me to that place where the Obala Kulina bana meets Zelenih beretki just across from the Latin Bridge. 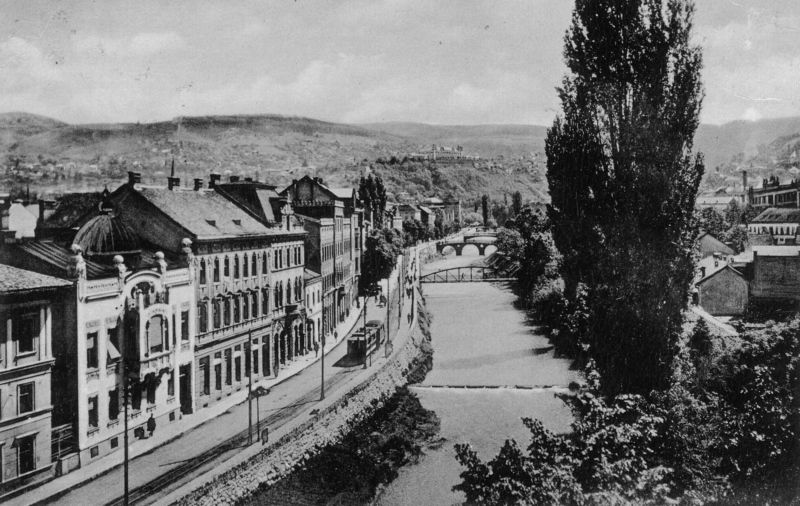 A century ago, the Obala was known as the Appel Quay, while Zelenih berertki was Franz Josef Strasse. Sarajevo was part of the Austro-Hungarian Empire, the southern frontier of that multicultural polity. The annexation of Bosnia-Herzegovina by Austria-Hungary in 1905 had caused the blood of Serbia to boil. Bosnia had a large population of ethnic Serbs. The nation of Serbia wanted to incorporate them into a Greater Serbia that would rule over all South Slavs. Ethnic Serbs in Bosnia were stoked by the Serbian government to overthrow Austro-Hungarian rule. One way of doing that would be to assassinate the heir to the throne, Archduke Franz Ferdinand when he visited Sarajevo. The man who carried out the assassination, Gavrilo Princip, was a rootless, Bosnian Serb nationalist. His act of murder changed history. When I got to the actual site, I was surprised by how small everything seemed. 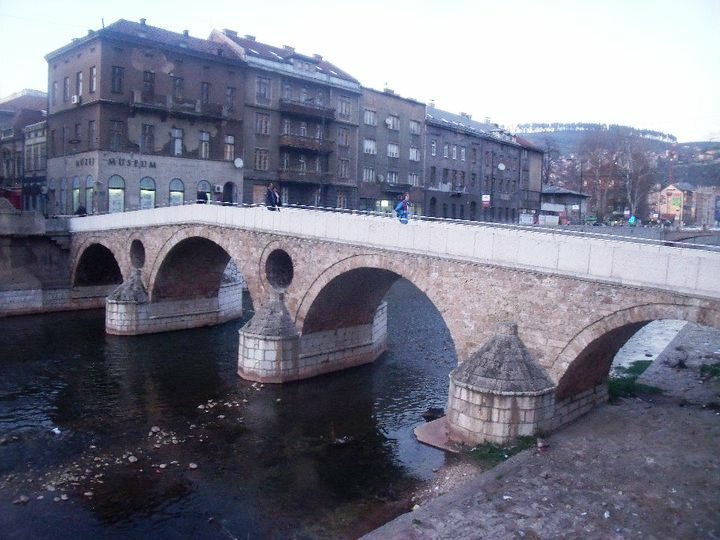 The Miljacka River, running beside the Appel Quay and under the Latin Bridge was flowing tepidly. It took less than a minute to walk across this world famous bridge. The street corner on which Princip stood when he fired the shots was just another ordinary street corner in front of an unmemorable building. 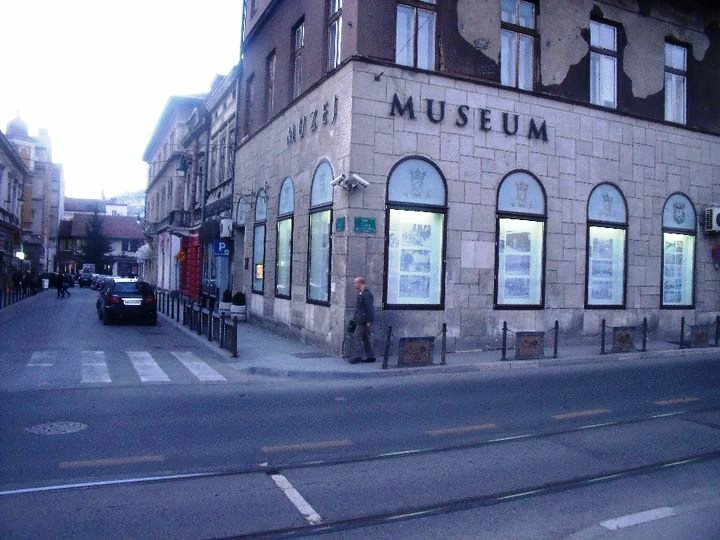 Today the building holds a museum about the assassination and Austro-Hungarian rule in Sarajevo. There was a plaque with historical information on the outer wall of the museum and that was about it. It was something of a letdown, but what should I have expected? I had built the event up in my mind to such an extent that almost anything outside of the actual moment itself would have been a letdown. The incredible thing was that the event really was of outsized significance, beyond all proportion to the modest surroundings of the site. There is no understating the assassination’s effect upon the world, both then and now. It was quite literally the trigger event that led to the outbreak of the First World War and millions of lives being lost in the first great conflagration of the 20th century. Princip’s shots were the inaugural volley that started the 20th century on an ultraviolent trajectory. Standing in the exact spot where it all began should have been humbling. In truth, I did not feel much of anything, other than a sense of gratification that I had realized a lifelong dream. As for the assassination itself, the entire operation was full of foibles, nebulous characters and outright amateurism. For example, there were six known potential assassins in the city that day. The first three completely lost their nerve, failing to carry out a number of prime opportunities to murder the Archduke. Another assassin did muster the courage to toss a bomb at the Archduke’s vehicle, which bounced off its open topped canopy and badly damaged one of his entourage’s vehicles following closely behind. The bomb thrower, tried to commit suicide by taking cyanide, which only proceeded to induce vomiting, then proceeded to leap into the nearby river which was less than half a foot in depth. So much for getting away. The police pulled him from the water and gave him a vicious beating. 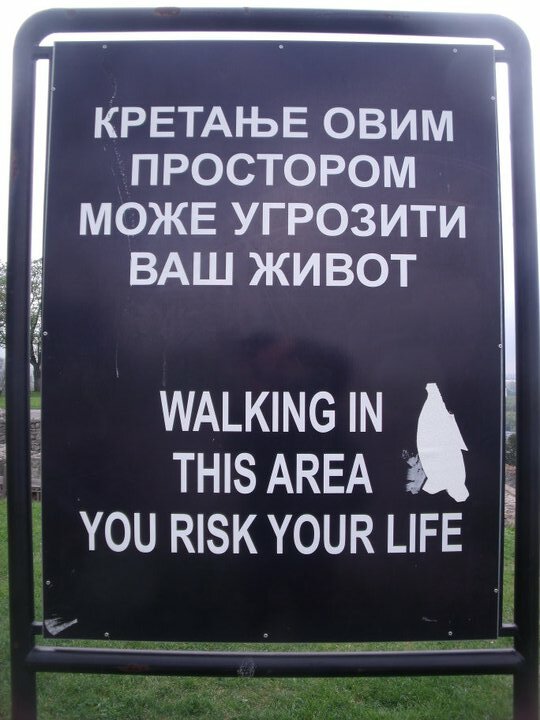 The Archduke took this as more a personal slight than a potentially fatal threat. By the time he reached the town hall to give a speech, he was barking at the mayor about the ferocious hospitality shown toward him and his wife by the bomb throwing locals. His wife, Sophie, was able to calm him down, but his imperious, stubborn nature would come back to haunt them. Instead of getting out of the city as soon as possible, the archduke decided they should go to the hospital and visit those who had been wounded by the bomb. This meant going back through the city once again with the car’s canopy down. The man in charge of the Archduke’s security (if there was such a thing on this day) decided they should avoid the maze of streets in the downtown area and hurry along the Appel Quay, more of a straight shot through town to the hospital. Unfortunately the archduke’s chauffeur was not told this information. He was still following the original route and turned right onto Franz-Josef-Strasse, back towards the city center. Just after making that turn, the chauffeur was dutifully informed (too late of course) that he was headed the wrong way (the right way by his incorrect calculations) and put the car in reverse, which jammed the gears causing the car to stall. At right about this time, Princip, whose most notable features were his short stature and a pair of preternaturally dark circles under his eyes, was coming out of Schiller’s Delicatessan (you can’t make this stuff up). He proceeded to pistol whip an innocent bystander who was in his way and then unloaded two shots. The first struck the Archduke in a jugular vein. The second struck his wife Sophie in the abdomen. Right away, a crowd developed around Princip that attempted to lynch him. That was until the police arrived and carried him away. The Archduke and Sophie did reach the hospital, but she was dead on arrival and ten minutes later so was he. His final words were a repetitive mumble, “it is nothing.” Well it most certainly was something. As for Princip, he turns the great man theory of history on its head. Perhaps it is not great men who make history, but weak men who overcompensate for their own innate weakness. They summon anger as a replacement for courage and leave their mark on the world through incident or accident. Such an improbable series of events put the assassination site into perspective for me. The act occurred less by planning than happenstance. It was a fluke of history that Princip found himself standing on the sidewalk beside the Archduke’s stalled out vehicle. The sheer randomness of everything that happened that day has left countless historians grappling to make sense of it all. The assassination is a reminder of the role luck and chance play in history. That may also be why the site itself seems to be so mundane. It happened on an ordinary street, on an ordinary day, but as I would find out soon enough, Sarajevo is no ordinary place. 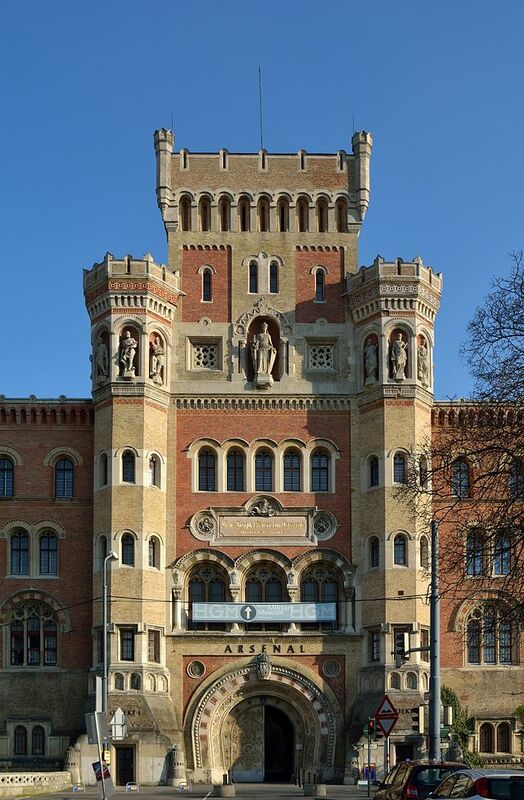 In the Landstraße District of Vienna, stands the world’s oldest military history museum, the Heeresgeschichtliches (Museum of Military Museum). The museum’s exhibits focus on Austrian military exploits throughout the centuries. 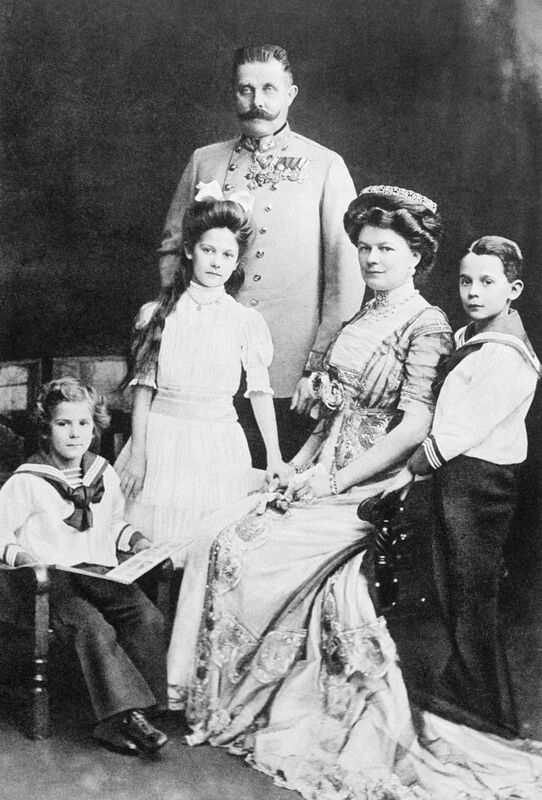 Among the prominent events highlighted are the numerous martial successes of the Habsburgs, one of the great ruling families in European History. Austria and the Habsburgs have a symbiotic relationship, the success and splendor of the latter, influencing that of the former right up to the present day. Yet in the early 20th ,the Habsburgs passed into history. Their fall came in both shocking and sudden fashion. In the space of just four years, the length of World War I, the empire completely disintegrated. First came defeat on the battlefield, followed by unrest and revolt at home. By the end of the war, the Habsburgs and their centuries old monarchy had vanished. In truth, decline had been taking place for nearly a century prior to the war. Growing tensions caused by the forces of socialism and nationalism during the 19th century had to be constantly suppressed. Defeat in the Austro-Prussian War of 1866 was a harbinger of the growing power of a soon to be unified Germany. Fear grew, both rational and reasonable, that Austria would be swallowed up by the German Empire. To stave off oblivion the Austrians created an unwieldy alliance with the Hungarians. The upshot of this was a political entity known as the Dual Monarchy (Austro-Hungarian Empire). This helped to stabilize the situation for almost half a century, but at the same time proved to be a constant source of irritation. The Hungarians demanded almost complete independence. In areas where the two entities were supposed to coordinate, such as Foreign Affairs, disagreements were rife. There were also justifiable concerns about the growth of nationalism among the millions of minorities spread throughout the empire. The Italians of the Tyrol looked to Italy, the Romanians of Transylvania to Romania, the Serbs to Russia and so on. The empire was riven with internal contradictions. Atop it all sat Emperor Franz Josef, a man who would rule for sixty-eight years of revolution, compromise and ossification. Telling the story of a prolonged period of upheaval and transformation via museum exhibits is difficult at best. Perhaps that is why the essence of the fall of the House of Habsburg, Austria-Hungary and the end of old Europe really comes down to one exhibit at the Heeresgeschichtliches. Known as the Sarajevo exhibit, it showcases the residue from the seminal event which changed Austria, the Habsburgs and Europe forever. The largest and most noticeable item on display is an automobile. 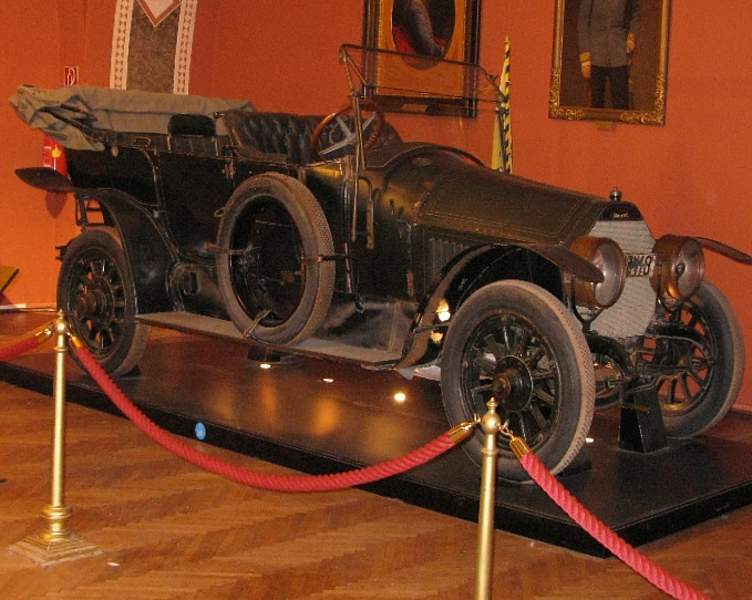 This was the car in which the Archduke Franz Ferdinand (heir to the Habsburg throne) traveled through Sarajevo with his wife Sophie on Sunday, June 28, 1914. Easily recognizable is the folded back, convertible cover of the 1911 Graf & Stift Double Phaeton automobile. It was at precisely ten minutes past ten o’clock in the morning that a bomb thrown by a would be assassin deflected off the convertible cover. It injured travelers in another vehicle that was part of the Archduke’s entourage. Despite this, the Archduke insisted that the visit continue. He was dutifully taken to the town hall for a reception. Reflecting on this is bound to make the viewer wonder if arrogance, a quality which Franz Ferdinand was known to have in abundance, ended up costing him his life. Perhaps this not only reflects the arrogance of Franz Ferdinand, but the attitude of the aristocratic order of old Europe as well. The governing elites still had a sense of invulnerability, despite numerous successful assassinations that had occurred across Europe over the past twenty years. Assassination, like war, was politics by another means. The marginalized of the Empire felt that this was the only way real change could be effected. Franz Ferdinand, an elite in every way imaginable, was an extreme example of the will to never change or recognize the obvious, even when it appeared in deadly forms. After the reception, the Archduke and his wife were once again traveling back through Sarajevo, when due to a mix-up, the chauffeur took a wrong turn and ended up stalling the car on a side street. It was then that the assassin, a Bosnian Serb by the name of Gavrilo Princip, pulled out a semi-automatic pistol. From just one and a half meters away he fired two shots. The Archduke was hit in the jugular vein, while his wife was shot in the abdomen. 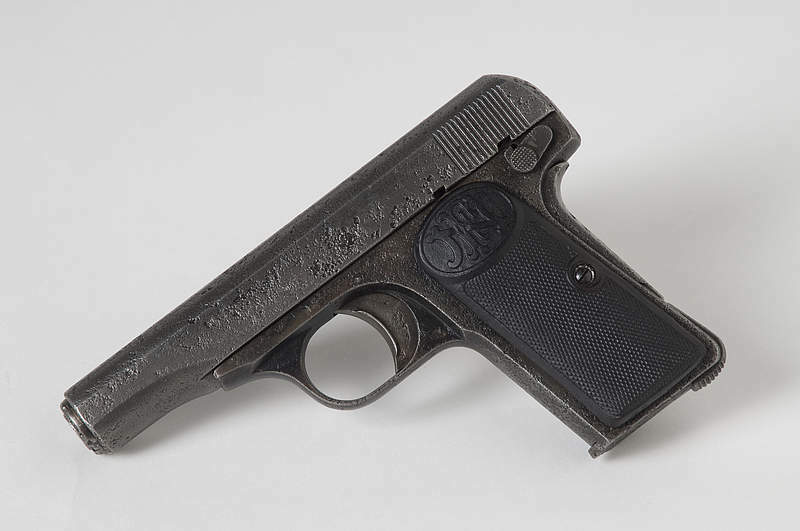 The assassin’s pistol, a Fabrique Nationale model 1910, is on display at the museum. It is incredibly humbling to actually see the real weapon. The gun produced the first two shots of what would become a worldwide conflagration that ended up taking the lives of at least ten million people. The exhibit contains several photos of the assassins (including accomplices) along with their weapons. The contrast between the assassins and the royal family is brought home by the photos in close proximity to one another. Here is the scruffy Princip, eyes gazing back at the camera with a fearful, vacant perplexity. Nearby, an image of the royal family shows them as refined and well to do. There could hardly be a greater contrast. Franz Ferdinand and Sophie only met Princip in that one hair trigger moment, but due to that moment they have inextricably linked, forever. Another display case holds the uniform worn by the archduke on that fateful day. A hole is visible just below the collar where the bullet’s entry occurred. 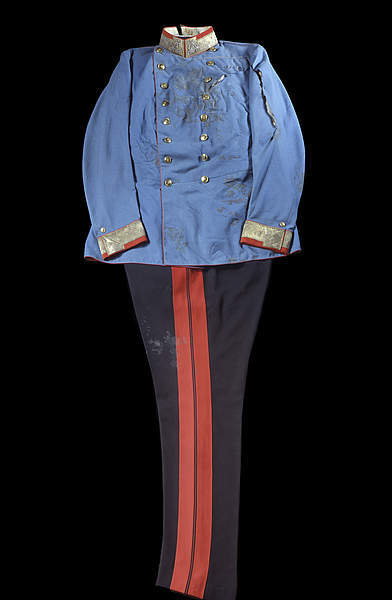 The front of the uniform still displays Franz Ferdinand’s blood stains, which have turned a dirty brown over the years. In a final coup of macabre grace, a chaise lounge is part of the exhibit. It is from the governor’s residence in Sarajevo. On this lounge the Archduke lay, still alive, yet barely breathing. Ten minutes after Sophie died, Franz Ferdinand is said to have uttered, “Sophie, Sophie! Don’t die! Live for our children.” Then he repeated “It is nothing” over and over again. Those were his final words. The exhibit has the power to transport the viewer beyond the museum, to somewhere deep in the historical consciousness. A place where Franz Ferdinand’s final words, “It is nothing” echo across space and time. Those words have turned into a horrific paradox. They turned out to be quite the opposite of what occurred in the aftermath of the assassination. “It is nothing” was really the beginning of a final endgame for the Habsburgs. There is nothing quite like the Sarajevo exhibit at the Heeresgeschichtliches. Thousands of artifacts and wonderfully informative displays may tell of the story of the Habsburgs and Austria’s military exploits and defeats, but they pale in comparison to the items showcased from that one day in Sarajevo. The artifacts in the Sarajevo exhibit have the ability to transport the visitor beyond walls and words, beyond facts and dates. Indeed, they speak of a final destiny that defeated an empire and a way of life. On Saturday, June 28, 2014, the 100th Anniversary of the assassination of the Archduke Franz Ferdinand, the event which sparked World War One, will be commemorated in Sarajevo. The commemoration will be solemn and relatively low key. Among other things, the Vienna Philharmonic is scheduled to perform a concert. There are a few other events on tap, but the overall tone for the anniversary is low key and respectful. This is only proper. After all, this was the moment when the 20th century changed forever and many believe was sent on its violent trajectory. The assassination involved a series of ambiguous and troubled historical characters. The Archduke Franz Ferdinand was not well liked or regarded by the citizens of the Austro-Hungarian Empire, especially the elite. The fact that he was murdered gives some idea of the feelings of the empire’s enemies towards the Archduke. 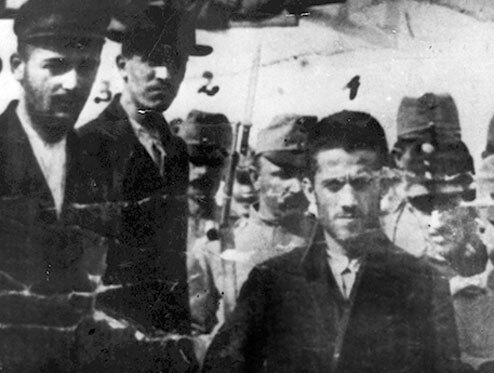 As for the assassin, Gavrilo Princip was an outcast, a man who lived on the very fringes of society. His act was neither glorious nor heroic. It was the result of a series of improbabilities, accidents and happenstance. Despite this, the assassination turned out to be a world historical event. Yet it is what followed in the wake of the assassination rather than the event itself, which makes it of long lasting historical significance. Four years of total war which ended with millions dead and wounded, along with a radical realignment of the political map of Europe flowed from the assassination. It is difficult to imagine how different Europe was before that event. Monarchies and empires ruled most of the continent including Bosnia. Freedom and representative government promoted the interests of the elite rather than a majority of the population. All of that either came to an end or underwent radical change. The world before the assassination vanished forever. Coming to Terms – What Did They Fight For? What Did They Die For? Following the commemoration in Sarajevo, expect much soul searching in France, Britain, Russia and Germany as they try to come to grips with the legacy of the Great War. For France, the Great War is a source of national pride, an honorable sacrifice to save their country from German militarism. Meanwhile in Britain, the war brings to mind images of needless slaughter, tragic heroism and victory at a cost that was indistinguishable from defeat. The Germans are still reckoning with causation and blame. Was the war really their fault? Should they bear the greatest burden of the blame? How do they honor their soldiers, without honoring militarism as well? Like so much of Germany’s ill-fated 20th century history, the questions are difficult and the answers are at best elusive, at worst nebulous. As for Russia, thoughts of the war are inseparable from those of the Revolution it led to. Russia has never come clean with its people about the truth of what occurred, the Soviet Union rewrote history to promote Bolshevism rather than honor the great courage and sacrifice of the peasant soldier. Lost in the Soviet version of the war was not only the truth, but also respect for the millions who died for what both then and now seems no good reason at all. Lost amid these reckonings are the two principle polities whose enmity brought the world to arms. One, Austria-Hungary no longer exists, while the other, Serbia was synonymous throughout the 20th century with ethnic war and nationalism. They will both be referred to in Sarajevo, but following the commemoration they will almost certainly fade into the background. This will be a repeat of what happened during the Great War. The Austro-Hungarian Army fired the inaugural shots of World War I near Belgrade almost exactly a month to the day from when the assassination took place. After the starting point though, it seems these adversaries disappeared. This probably has to do with the fact that they were both losers in the war, even if the Serbs paradoxically managed to end up on the winning side. The Austro-Hungarian Army’s long awaited invasion of Serbia ended in defeat. Less than six months after the war had begun, the empire and its army were reeling. In the coming year, it would be reinforced and subsumed by the German Army. This would lead to victory for the Austro-Hungarians in Serbia, but it hardly mattered. This was a pyrrhic victory. When the Archduke Franz Ferdinand was murdered in Sarajevo, it was the beginning of the end for Austria-Hungary. In that way Princip’s action had been a success, but it brought Serbia so much misery, that it is hard to see how it was a victory. The Serbs lost almost a fifth of their entire population during the war. That means about one in every five Serbs was dead by the end of the conflict. No country suffered a greater proportion of losses to its population. What did the Serbs have to show for their suffering and sacrifice at war’s end? They ended up on the victorious side and led the states that would form Yugoslavia, but any gains they made were lost again during World War II, regained in its aftermath and finally lost in the Yugoslav Wars of the 1990’s. The 20th century was not kind to Serbia. They could never quite achieve a Greater Serbia and the next best thing, Yugoslavia collapsed as well. For the Serbs, the Great War much like their entire 20th century history was filled with disappointment. That word, disappointment may best explain the legacy of the Great War for all the major combatants. None of the nations and empires that were involved got what they wanted or expected. The war brought varying degrees of defeat, disillusionment and disaster to all involved. Perhaps that is why the commemoration in Sarajevo will be such a solemn affair. It was the beginning of the end for one world and the start of something new and more horrible for the next one. Serbia was at the heart of the troubled Balkan region during the 20th century. Its influence in political and military affairs was pervasive in the area and ended up having an effect far beyond its own borders. It is hardly surprising to find Serbian involvement in two of the most important events of World War One. The one at the beginning is famously well-known, while the other which helped lead to the war’s conclusion is almost entirely forgotten today. The first event which sparked the war is world famous. A Bosnian Serb, Gavrilo Princip assassinated the Archduke Franz Ferdinand, heir to the throne of the Austro-Hungarian Dual Monarchy. This set off what has become known as the July Crisis, where diplomatic efforts failed and the Great Powers ended up on opposing sides based largely on treaty commitments. By the end of that month, artillery shells were falling on Belgrade, as Austria-Hungary attacked Serbia. What flowed from there was a war that expanded across much of Europe, the Middle East, Asia Minor and the High Seas. The blood of millions was spilled on fields of battle that are still recalled with horror today. Such battles as Tannenburg, Gallipoli, Verdun, the Somme and Paschendaele evoke memories of massive clashes over weeks or months. All of these were indecisive in either a tactical or strategic sense. Yet they have helped define the war, though none of them decided it. It is difficult to recall one battle that brought the war to an end or even the beginning of the end. Battles were subsumed within campaigns. The Allied offensive that finally was able to roll the Germans inexorably backward during the late summer of 1918 seems to be more a prolonged push rather than a rout. The Allied blockade that slowly squeezed the life out of Imperial Germany is symptomatic of the lack of a singular, triumphant event. Neither quick nor tidy, its success was based upon duration. As for the armistice of November 11, 1918, this final defeat of the Central Powers was more an agreement, than an infliction. It as though World War I lacks that one defining moment where triumph is finally crystallized. Perhaps that is a proper coda to a war which caused such widespread destruction of men and material. Because such a moment is so hard to define, it also means looking in less obvious places. Searching beyond the Western Front also means looking at other theaters of the war. Was there a forgotten battle of historical significance that has been overlooked? The name Dobro Pole scarcely comes to mind when memorable battles of World War I are discussed. The name sounds cryptic. It could be almost anywhere or anything. Actually it means “Good Field” just the opposite of what it actually was for the Bulgars defending it. Conversely, it was a very good field for the Allied “Army of the Orient.” An unforgettable scene would unfold high up in the Moglenitsa Mountains stretching across central Macedonia. A scene which no one could have predicted based upon what had occurred on this part of the Balkan Front over the eighteen months prior to the battle. The much maligned Army of the Orient consisted of a polyglot force of Serbs, French, British, Greeks and Italians. Their most notable hallmarks were complacency and mismanagement. Only through slow and haphazard efforts had they gained a bit of ground from their original base at the Aegean coastal port of Salonika. Attempts to dislodge the Bulgarians from the position in foothills and mountains had made only tepid progress. Four attacks by the Allies over the past eighteen months had been miserable failures. The rest of the time, the Army of the Orient tried with little success to fend off the dual scourges of malaria and boredom. Meanwhile, the Bulgars were also plagued with morale issues and limited food rations. Their front line was stout, but beyond these troops was an armed rabble of starving reservists. Nonetheless, the high ground was well fortified and the Bulgarians were still the one major European Army that had avoided defeat in the war. It record was unblemished and looked as though it would stay that way. Appearances in this case were not just deceiving, but in the Bulgarian case turned out to be deadly. During the summer of 1918 the Allies began to prepare for what would become a remarkable offensive. 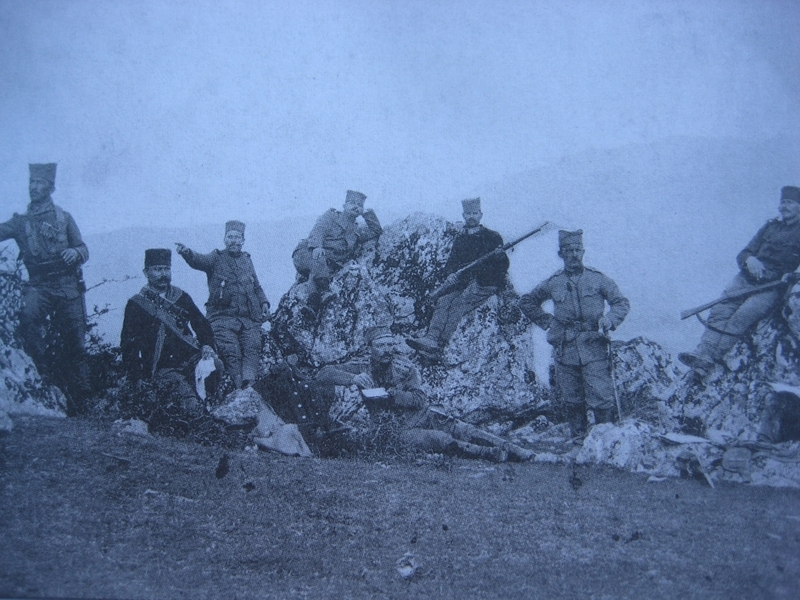 Specifically, Serbian and French forces worked under the cover of night for two weeks to push, pull and lift artillery into positions up to heights of 7,700 feet in the Moglenitsa Mountains. From here they would be able to unload devastating barrages on the Bulgarians. The Bulgars unwittingly believed that their fortifications were impregnable. Even the German officers and troops sprinkled in to stiffen the Bulgarians spine did not believe the Allied forces would attack the rocky slopes, precipices and peaks covering the area. Yet that was exactly what they intended to do. The Allies had set their sights on Dobro Pole, a broken ridge six miles in length that ran between the Sokol and Ventrenik, names which respectively meant hawk and wind swept one. These were apt pseudonyms for land forms that were in and above the clouds. The common belief up to this point on the Macedonian Front was that an attack on this area would be suicidal. It was steep, heavily fortified and offered the enemy open fields of fire. Conversely, if the Allies did somehow manage to take Dobro Pole, the entire Bulgarian defenses might entirely collapse. 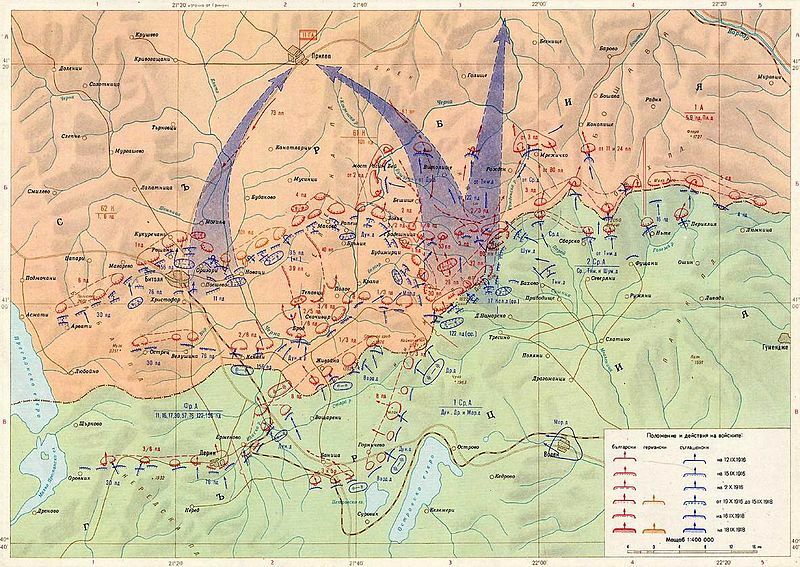 It offered an opportunity to unhinge the entire Bulgarian defended part of the front. The risk was worth taking. 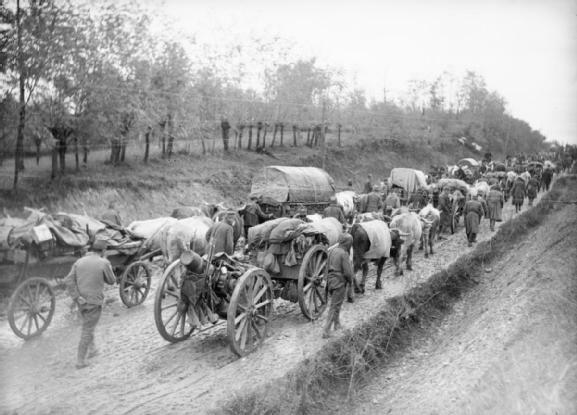 At 5:30 a.m. on September 15th, just as dawn was breaking over the high peaks of the Moglentisa, the French and Serbian artillery began to rain shells onto the exposed Bulgarian positions. The barrage was part of an eighteen hundred gun, storm of shot and shell stretching for over a hundred miles across the entire front. It was the greatest assemblage of artillery on the entire Balkan Front during the war. The thunderous roar shook the mountain sides softening the Bulgarian defenses The Bulgars were able to withstand the initial barrage. Dobro Pole would have to be conquered by foot soldiers. 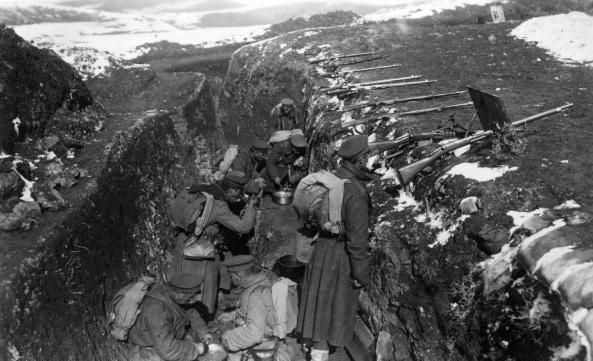 Serbian forces slowly fought their way up the steep slopes. The closer they got the more ferocious and frequent the Bulgarian counterattacks, five were launched in a matter of hours. The inhospitable landscape had once only been the haunt of goats and shepherds, now the Serbs and French followed in their footsteps. The machine gun nests of the enemy unleashed a deadly torrent. The Serbs had to use flamethrowers to finally root out the defenders. In the early afternoon, eight hours after they had begun, Dobro Pole was surprisingly conquered. The Bulgarian front line had been breached. The same process was repeated in other areas all along the front. What lay beyond the first formidable defenses was the fragile Bulgarian second line, filled with those starving reservists. They offered scant resistance. Two days after Dobro Pole fell, the Allies had managed to carve a salient six miles deep and twenty miles wide into the enemy lines and this was just the start. Ten days after the offensive had begun the Serbs took Gradsko, the main communications center for the Central Powers along the front. 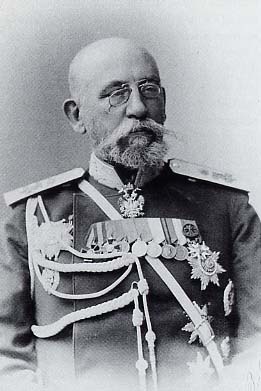 Now the German commanders were unable to coordinate a defense with their Bulgarian counterparts. The breakthrough continued at an incredible pace for what had been heretofore one of the most static fronts of the entire war. On September 29th, the city of Skopje and its important rail yard fell to French and Serbian forces. Meanwhile on the eastern end of the front, British forces had managed to break out as well. The Bulgarians were in full retreat. The Germans had no other recourse, but to abandon this ill-fated area of the Balkans. For the once mocked Army of the Orient, the road to Budapest and Vienna lay open. In just two weeks the entire course of the war had changed. Bulgaria sued for peace. An armistice was granted on September 30th. The Bulgars, once a bulwark of the Central Powers, had been decisively defeated. It would not be long until the others surrendered as well. The Battle of Dobro Pole was a tipping point. What had been thought all but impossible, the conquest of this high mountain area had been brought about by planning, surprise and innovative tactics. With its fall the Bulgars were suddenly exposed. Their rugged façade had finally cracked and what lay beyond offered little to no resistance. Unlike other World War I battles, there were no tens of thousands of casualties to count and victory was no longer measured by a few hundred meters. It was a resounding and resonant triumph, the ramifications widespread. 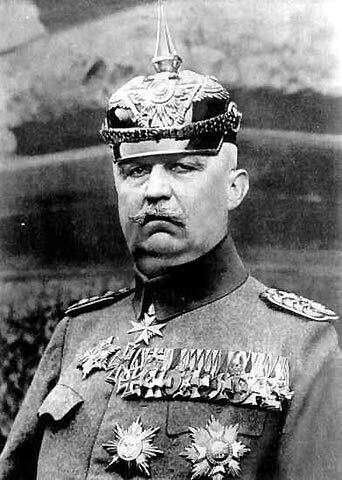 No less a historic personage than Erich Ludendorff, the overall commander of German forces at the time, said that the collapse of the Macedonian Front spurred by the loss at Dobro Pole was the worst day of the war for him. On September 28th just as Skopje was on the verge of being captured, Ludendorff collapsed to the ground, began foaming at the mouth and suffered a nervous breakdown. He must have known that Bulgaria would soon surrender and worse was yet to come. The battle of Dobro Pole and its resulting effects damaged the Central Powers beyond all repair. Where the Sava River flows into the mighty Danube sits the city of Belgrade, capital of Serbia. Towering over the confluence of the two rivers is the Belgrade Fortress. One would be hard pressed to find a more strategic point in the long and troubled history of the Balkans. It as though geology and geography have conspired to create a place where the desire of empires and ethnicities are acted out in century upon century of armed conflict. It is believed that some 115 different battles have been fought over the fortress throughout recorded history. The conquerors of this strategic point include three of the most important empires in world history, the Roman, Byzantine and Ottoman. They came, they saw, they conquered and they vanished. Holding this ground may well be just as hard as conquering it. Over the last one hundred years, the fortress has fallen under the sway of Serbia, Austria-Hungary, Yugoslavia, Germany, Yugoslavia and back again to Serbia. There are very few pieces of land in the whole of Europe that have such a contentious history. Control of this area, meant control over historic trade and migration routes. This was the reason that the Celts, Romans, Huns, Avars, Slavs, Bulgars, Byzantines, Serbs, Hungarians, Turks, Austrians and Germans occupied it with varying degrees of success over the past 2,300 years. It was also the reason that the Celts and Romans selected the area as a fortified encampment. During the 6th century, the Byzantine Empire at its zenith under Justinian the Great, constructed a more permanent stone fortress. From that point forward, there were concerted attempts to create an impregnable fortification at the site. Each attempt tried to improve on the one before, but even stone and cement were never able to keep pace with technological innovations in siege warfare and artillery. Due to this building and rebuilding, much of the architectural history of the fortress has been subsumed. Today the fortress area is considered to be the most beautiful parkland in the city, but this beauty also hides a fascinating history. Beneath it are catacombs and tunnels that have scarcely been explored. They could hold tantalizing secrets about the past. Yet even the more recent past, relatively unknown in the popular historical consciousness, is worth remembering. With such a conflicted past it is little surprise that the fortress and city it was built to protect saw fighting during the First World War. Of greater interest is the fact that the Belgrade fortress bore witness to the first shots of what became known as the war to end all wars. Exactly one month to the day from when Archduke Franz Ferdinand was assassinated in Sarajevo by a Bosnian Serb, Austria-Hungary declared war on Serbia. The telegram declaring war was officially received by Serbian officials during lunchtime at 12:30 pm on July 28, 1914. Less than twelve hours later, Austro-Hungarian artillery was prepared to fire the opening shots of the war. A few minutes past midnight, from across the Sava in Semlin (today Zemun in Serbia), the giant guns manufactured in the Krupp and Skoda factories of the empire unloaded a torrent of shellfire on Belgrade and its fortress. Then gliding across the slate grey waters of the Danube came river monitors bearing even more shot and shell. These were the inaugural shots of what were to be millions more over the succeeding four years. There was panic in the city as civilians cowered in temporary shelters or descended into caves in the hills beyond the city. Windows were shattered all over the inner city as well as the residential districts. And this was just the beginning. In the coming weeks, the fortress was reduced to rubble as well as the industrial districts of the city. Food became scarce and sanitation soon degraded as water and sewer facilities were destroyed. Belgrade, capital of the Serbian nation was paying the price of a war that many felt the Serbs had brought upon themselves. Through it all stood the ruined remnants of the fortress, a crumbling witness to the excesses of modern warfare. Following the end of the conflict, it was proclaimed that World War I had been “the war to end all wars.” Meanwhile those ruins that pockmarked the Belgrade fortress offered a testament otherwise. The fortress would soon be rebuilt in time for the next war. And this was before anyone knew an even worse war was to follow. Why rebuild? Because it would surely happen again, for it is here where the Danube meets the Sava that history is stuck on repeat. Here in this place that has seen over a hundred battles, the future is totally predictable. What was to come might even be worse. It was. One wonders, is it really a conspiracy of geology and geography which has brought the Belgrade fortress such suffering. Perhaps it is, than again maybe it’s a conspiracy of man and his worst instincts. After all, the Danube and Sava rivers often change, but human nature never does. One of the prevailing stereotypes in 19th and 20th century European history is of the Balkans as a tragic and fated land, riven by infighting, feuds, diabolical plotting, ethnic hatred and outright war. There were notable examples of this kind of behavior throughout the region on multiple occasions over the past two centuries. Yet the same could be said for much of Europe during that time. The reputation of the Balkans took a turn for the worse during the 1990’s. Following the collapse of Communism and Eastern Europe’s peaceful return to democracy and economic development, the former Yugoslavia went in a very different direction, it imploded. What followed became known as the Yugoslav Wars. The fighting was broadcast via television and internet to a western world stunned to see that large scale violence and ethnic cleansing could still occur in post-modern Europe. The popular press covered the fighting with a wide range of preconceived notions. Among these were several recurring themes including that the violence was endemic to the area’s history, feuding and plotting was a way of life that rose almost to the level of a profession and it was a backward land infused with oriental despotism. Whether these were true or not hardly mattered, they fit into a traditional narrative that had a long history reaching back a couple of hundred years. Trying to identify the origins of this bias against the Balkans has been the subject of many book length studies. This is not the time, place or space for such a study. Yet an understanding of how the Balkans came to be viewed today as a land of despotism can be easily understood through the action for which it was most famed in the late 19th and early 20th century, the act of assassination. Assassination seems to be the prototypical Balkan crime. It hits on all the derogatory stereotypes given to the region: radical politics, ethnic strife, extreme nationalistic sentiments and subversive conspiracies. It as though the Balkans had the market cornered on this type of behavior. In reality it did not. At the height of an assassination phenomenon lasting from 1900 to 1913, no less than twenty-eight different politicians, diplomats and heads of state were shot, stabbed or blown up in Europe, yet the Balkans accounted for only eight of these. That is less than three out of ten in the supposed powder keg of Europe. One of the main reasons the Balkans became tarred with a reputation for murderous intrigue was because of two famous assassinations which occurred in the area during the early 20th century. One is still well known today, the other relatively forgotten even though it caused a sensation at the time it occurred. The more famous of the two was the assassination of the Archduke Franz Ferdinand in Sarajevo by a Bosnian Serb nationalist. It goes down as one of the most improbable and important events in modern times. The reverberations from that murder led to World War One. People who haven’t the slightest idea about the Austro-Hungarian Empire or its annexation of Bosnia are still aware that a strange character known as an Archduke was gunned down in Sarajevo. Many still believe such crimes to be typical of a backward region consumed by ancient hatreds. 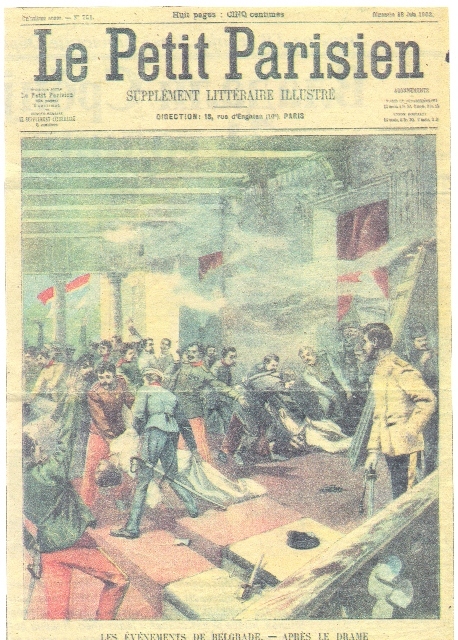 The other, lesser known political murder which informed the popular image of the Balkans took place in Belgrade, the capital of Serbia in 1903. In what is now called the May Overthrow, a group of Army officers led a coup against King Alexander I and his wife Queen Draga. The conspiracy is said to have grown to the point that it included an astounding 160 people. On the 29th of May, just a few hours past midnight, in the damp, chill air of Belgrade, the Royal Palace was surrounded by officers and soldiers determined to kill the King. They had a difficult time getting access to the royal quarters, but were determined enough to blow the King’s bedroom door open with dynamite. After searching in vain for a considerable amount of time, the royal couple was discovered hiding behind a secret door. What happened next is open to debate, but it seems that both the king and queen were almost immediately shot. The conspirators then took turns sabering them, accounts state that up to twenty-eight slashes were inflicted upon their bodies. To add a final humiliation, the bodies were dumped out of a second story window of the palace onto manure piles in the gardens. The report of the coup made headlines all across Europe. The vindictive violence done to the corpses was shocking and bestial. This helped cement a popular impression of the Balkans as a land of backwardness, where royalty was treated with utter contempt. Interestingly, both famous Balkan assassinations took the lives of royal spouses. In this land, even the wives of royal heirs and monarchs were not safe. The two assassinations still inform how the Balkans is viewed today. The region has never really been able to escape the popular perception of what happened in Belgrade and Sarajevo over a century ago. The Yugoslav Wars of the 1990’s only tended to exacerbate matters. Ignorance by the general public in this case lends itself not to bliss, but to fear. Many avoid travel to Bosnia or Serbia due to its violent reputation. Those who do travel to the region are pleasantly surprised. Despite the fact that it is still developing economically it is one of the safest places in the whole of Europe with incredible natural and cultural history on offer. Those who do bypass the Balkans would do well to remember that the rest of Europe was plagued just as much or more by political murder in the early years of the 20th century. For instance, in 1900 the King of Italy was shot dead, pierced by the four bullets of an assassin. 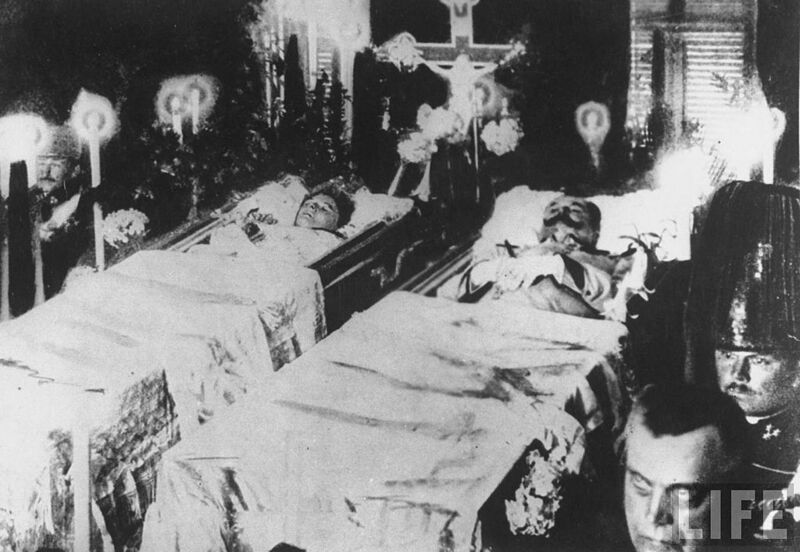 Four notable Russian politicians were murdered from 1900 – 1911 and even in Finland (a land which today conjures up images of placid serenity) three notable public figures were murdered in a seven year period beginning in 1904. Yet no one much recalls those acts of violence. There is something about the Balkans that brings to mind smoke filled coffee houses, populated with saboteurs plotting to bring down the powerful. Whether this is true or not, hardly matters. That is the perception in the western world and that perception has created its own reality. 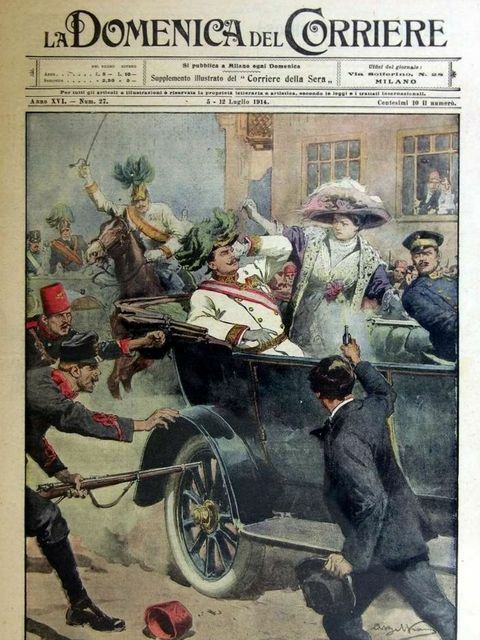 The 100th anniversary of the assassination of the Archduke Franz Ferdinand will soon be remembered all across Europe. This was the event that sparked the outbreak of the First World War, changing the world forever. The name of the man who carried out the assassination, Gavrilo Princip, will come into the historical consciousness once again. Princip’s fame rests upon his actions on that fateful day. If not for the assassination, he would never have gained any sort of notoriety. He was a lost and troubled soul. Like so many assassins before and after him he clung to the very fringes of society. Militant nationalism was the preferred anecdote to give his life some kind of purpose. Princip and the assassination may be synonymous, but there were several other young men lining the route of the Archduke’s motorcade that early summer day in Sarajevo. Four of the assassins failed to carry through with the original plan. Another, Nedjo Cabrinovic tried and failed. If his action had been successful, Gavrilo Princip would be a mere footnote in history, while Cabrinovic’s name would be on everyone’s lips when the centenary of the assassination is commemorated. Nedjo Cabrinovic – almost famous, but now only forgotten and infamous. Who was Nedjo Cabrinovic? Much like his co-conspirators he was a troubled young man. 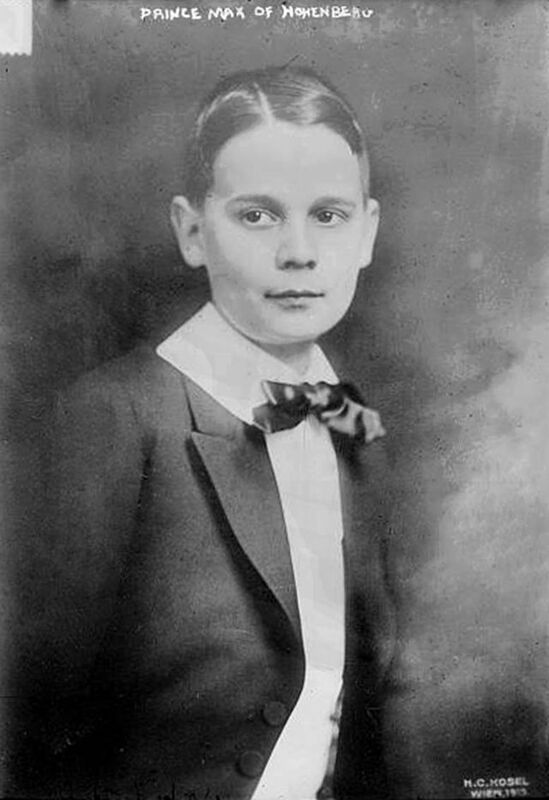 He began working as a teenager at various jobs all of which he invariably lost. These included stints as a locksmith, sheet metal worker and typesetter at a printing press. He stuck with the last of these, but never at the same place for very long. While working at the printing press he became familiar with radical socialist literature. He spent much of his formative years reading texts calling for revolutionary upheaval. His family life was chaotic. The relationship between Nedjo and his father was difficult in the extreme. They quarreled constantly. On one occasion, Nedjo’s father actually had him jailed for refusing to apologize to a housemaid he had slapped. Even at the printing press trouble proceeded to follow him. He took his readings of such revolutionaries as Marx to heart. He formed a union at the press, gave speeches and incited the worker’s to protest wages and conditions. Cabrinovic ended up losing the job and nearly being thrown into prison. He was also given to fits of anger, illness and non-conformist behavior. 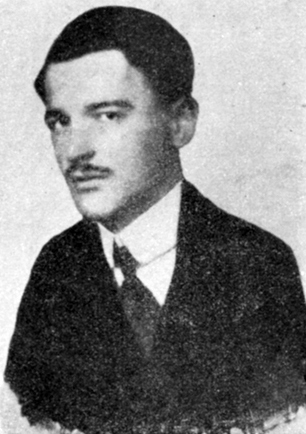 Eventually he joined the Young Bosnians, a radical ethnic Serb group that wanted to see Bosnia throw off the yoke of Austro-Hungarian rule and unite with Serbia. Any possible means necessary would be used to carry this out. This background eventually led Cabrinovic to his place alongside the Appel Quay on the morning of June 28, 1914. Unlike Princip, Cabrinovic’s weapon of choice was a bomb instead of a gun. One thing they did have in common were the cyanide pills each carried with them to commit suicide after the assassination was done. Another similarity was that both turned out to be the only ones of the seven potential assassins in Sarajevo that day who actually tried to kill the archduke. There was a big difference between the two attempts though. Princip’s occurred by happenstance whereas Cabrinovic’s was done according to plan. On the morning of the assassination Cabrinovic did something very strange. Indicative of his mindset on that historic day, he went to a photographer and had several photos of himself made with a friend. Wearing an odd black and gray outfit, the last photos of Cabrinovic as a free man were taken. He asked the friend who had posed with him to make sure that among others, his sister and grandmother received copies. It was as though he was leaving them something to remember him by, as if assassinating the heir to the Habsburg throne was not enough. Not long thereafter, Cabrinovic found a suitable place to carry out his assassination attempt. He stood on the Miljacka River side of the Appel Quay close to a lamppost. This was critical because he needed to strike the bomb against the lamppost to prime it. At 10:10 a.m. the archduke’s car came into view for Cabrinovic. Unbeknownst to the passengers they had already safely passed two assassins, both of whom lost their nerve and failed to act. Cabrinovic had no such hesitation. He soon saw the motorcade coming into view and recognized the Archduke by the feathers in his helmet. He took out his bomb, struck it against the lamppost. It made a loud cracking noise. Cabrinovic’s motions in priming the bomb alerted the chauffer of the Archduke’s vehicle that something was amiss. The chauffer sped up, Cabrinovic tossed the bomb, but he was just off the mark. It hit the folded-down hood of the car, landing in the road where a few seconds later it exploded near the back of the next car in the motorcade. Shrapnel flew in several directions. Passengers in this car as well as bystanders had been hit, but none killed. Even the Archduchess Sophie had been grazed on the shoulder by a piece of shrapnel, the wound turned out to be superficial. The archduke’s car came to a stop. He wanted to see exactly what had happened. After a minute, an officer hastily warned the heir to the throne and his entourage to keep going. The Archduke on learning of a bomb being thrown at him was reported to have said that the assassin “must be insane.” The archduke’s sanity can be called into question as well. He carried on with the morning program, rather than getting out of Sarajevo before another attempt on his life took place. It was a decision that would cost the royal couple their lives later that morning. As for Cabrinovic, he swallowed cyanide pills and jumped a wall, tumbling down into the languid, shallow waters of the Miljacka. In a matter of minutes a group of four men, one a policeman, had apprehended Cabrinovic. He was roughed up by an infuriated crowd before the police hauled him off to jail. It was all over for him, his attempt had failed. The archduke was still alive, but not for long. As for Cabrinovic he actually showed contrition at the trial where he and the other assassins were convicted several months later. When reflecting on the fact that the assassination had led to a full scale war, Cabrinovic said that if he had known what would have transpired from the murder of the archduke, he would have used the bomb on himself instead. The damage had been done though. A worldwide cataclysm was in progress and would not end for another four years, after which millions were dead. Cabrinovic would die in a Bohemian prison from the effects of tuberculosis just a year and a half that day in Sarajevo. He was all but forgotten. Today at the Austrian Military Museum in Vienn,a the car in which the Archduke and Archduchess were riding in Sarajevo is on display. It is a surreal experience to look at the 1911 Graft and Stift Double Phaeton, still in good condition and think that it was nearly blown to pieces that morning. The tunic worn by Franz Ferdinand when he was shot is on display as well. The bloodstains are still visible. It is a humbling experience no matter one’s opinion of what transpired that fateful day in Sarajevo. There is another way to look at this exhibit though, one that is not surreal or humbling, but truly horrifying. A counter factual approach sets the assassination forward an hour. Cabrinovic’s bomb lands on target. The archduke and archduchess try to scramble away, but the bomb explodes. Bits of their bodies are blown in all directions. Shrapnel incises every limb that is left of them. The screams of bystanders are more animal than human. The car is a heap of metal, glass and fabric, the chauffer and other passengers lay moaning and twitching. That scene is terrible to contemplate, but it was certainly possible. If it had occurred there would almost certainly be a very different exhibit about the archduke’s assassination in the Austrian Military Museum. Perhaps it would showcase bits and pieces of the debris, fragmentary remains of that morning in the Balkans nearly one hundred years ago. There will never be such an exhibit, neither will anyone have Nedja Cabrinovic’s name on their lips at the 100th anniversary ceremonies this June. Instead the man is lost to history, just like that moment in time, just like the world he so wanted to change. 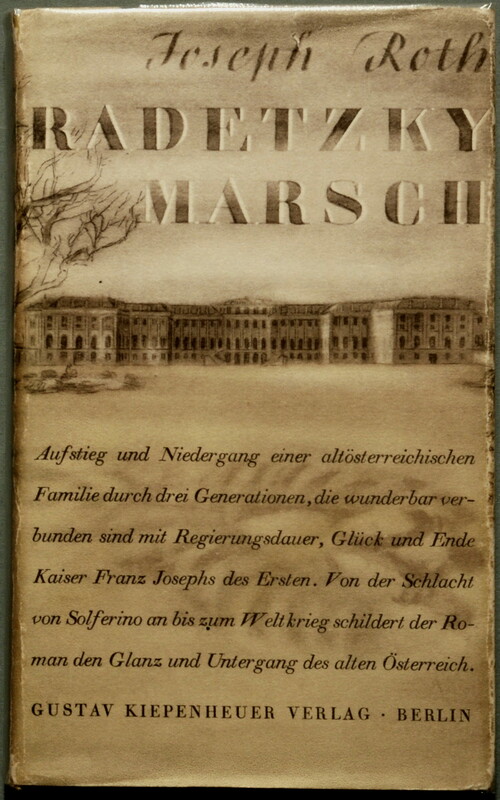 There is scarcely a better explanation of the Austro-Hungarian Empire’s implosion than Chapter 18 of The Radetzky March by Joseph Roth. It centers on a grand summer festival put on by an imperial dragoon regiment stationed in the eastern part of the province of Galicia. In a remote and insipid imperial army outpost, one of the most fantastic scenes in the whole of literature transpires as the officers of the regiment plan and then put on the festival, only to have it interrupted by a ferocious natural and geopolitical storm. During an ethereal thunderstorm they suddenly learn the news that the heir to the Habsburg throne, Archduke Franz Ferdinand has been assassinated in Sarajevo. The shock of the news causes them to lose all inhibitions. The nationalistic instincts of the officers gush forth. The fault lines between the competing nationalities and dual loyalties of these men undergo a seismic shift in a matter of minutes after hearing the news. It all breaks apart and the world will never be the same. Roth created a motley multi-national cast, representative of the empire’s conflicting ethnic identities. It is through these characters that we witness the empire’s disintegration. The Dual Monarchy had loosely knit together peoples of widely varying ethnic backgrounds for centuries. It had ten different national groups numbering at least a million, with the largest single ethnic group, Germans, less than a quarter of the population. The empire finally disintegrated under the pressure of a singular, transforming historical event. The final implosion occurred due to the internal contradictions of many different nationalities competing for autonomy or independence. All the characters present in the chapter reflect an ethnic group which had either a sense of privilege or grievance that is offensive to another one. Two of the characters in the scene are so brilliantly rendered that critiquing one of their seemingly, minor interactions, illuminates the tension at the heart of the Dual Monarchy’s most important relationship, namely that between the Austrians and Hungarians. Each is representative of national traits that cause even the most trivial of details to require delicate negotiation. Rittmaster Count Zschoch is the man who had originally come up with the idea for the festival. 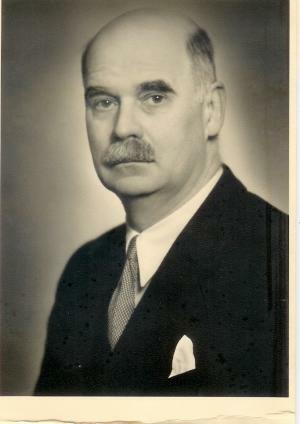 An Austrian who spends many hours at a time in “violent arguments about stylistic niceties” regarding an invitation to the festival for the “honorary commander of the regiment, a minor German prince from an, alas, neglected collateral branch.” These arguments take place with Colonel Festetics, who comes from a family that is “one of the best in Hungary.” The two work together, yet underlying tension exists over even the most trivial of matters. Here Roth has given us the Austria-Hungary relationship in a nutshell. Trivial disputes plague everything, from the invitations wording to the order in which they must be dispatched. But these disputes are only superficially trivial. In actuality, they are rooted in the troubled history of the two protagonists. In this case, Festetics represents the rebellious spirit of the Hungarians who had revolted – most recently in 1848 – in numerous attempts to throw off the yoke of Habsburg rule. One other detail of the Zsochoch-Festetics interaction to note is the worry and disagreement that arises over an invitation to “a minor German prince.” The imperial dragoon regiment is reduced to vying for the attentions of an obscure German noble. This is what the Dual Monarchy had been reduced to in the years prior to the outbreak of the war, vying for a smidgen of attention from the Germans. The weak and ossified monarchy had lost its importance and would soon lose much more than that, its reason for being. Why this happened is the subtext of many scenes in Chapter 18 of The Radetzky March. Roth shows us an empire coming apart at the seams, at the very end of its rope. It would take four more years of horrid war for it to finally strangle itself.